The summer months are a pleasure to most but those with allergies sometimes struggle through these warmer months. With all the pollen and dust in the air, those allergies can get triggered pretty easily and turn the nicest day into an insufferable experience. During summer months, timothy, orchard and Bermuda grasses pollinate.An allergy to grass is often tied in with hay fever. Symptoms and causes are alike. Among symptoms is inflammation of the sinus cavity or nose, called “rhinitis”. This inflammation results in an allergic reaction in the nose. Symptoms include runny nose, sneezing, and watery, itchy eyes. Some may experience a tickle at the roof of the mouth or at the back of the throat.Typically starting in March, high pollen counts signal the start of allergy season. 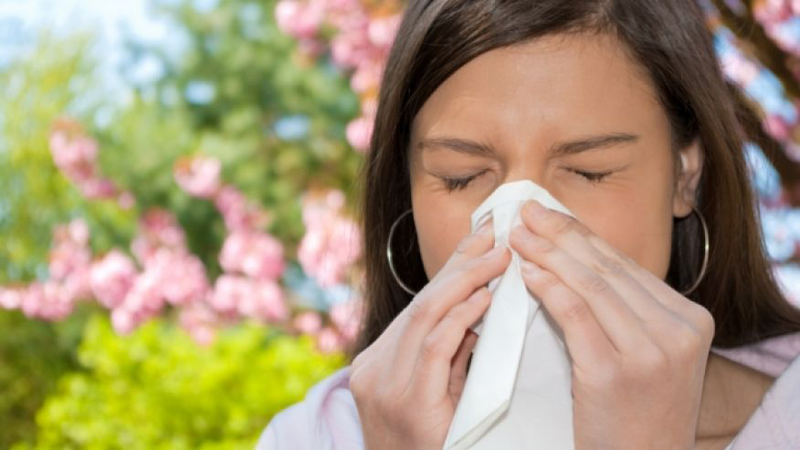 This allergic reaction to pollen makes your nose run during certain seasons. Allergy symptoms in general typically include severely itchy, watery eyes, sneezing, coughing and symptoms that appear to be a cold or flu. A physician can conduct an allergy test to determine the source of an allergic reaction.It would be a shame to have to count down the remaining days of summer because of your allergies. Don’t let them dictate how you spend the next couple of months. Next Avenue has some tips of what to avoid if your summer allergies are getting you down. Have a look at these suggestions and get back to enjoying the warm weather. If the pollen count is high, stay indoors, especially in the morning. During summer, close doors and windows. For fresh air, use air purifier. Regularly clean locations where pollen collects easily, such as vents and bookshelves. Use hot water washing for rugs and bedding to kill allergens such as dust mites. Shower and wash your clothes after spending time outdoors. Pollen can collect on your hair and clothes and transfer to your furniture or bedding on contact. Use a mask when dusting, vacuuming, or cleaning house. Maintain the range of house humidity from 30 to 50% to inhibit dust mite populations, which thrive in highly humid environments. Dust furniture, ceiling fans and baseboards with a damp cloth to remove allergens and prevent them from re-circulating into the air. Use a mask, regardless of allergies, when performing yard work, such as mowing or raking to prevent inhaling grass pollen, dirt and dust. Avoid wearing contact lenses and opt instead for glasses, which allow more oxygen to reach the eyes. If over-the-counter products and preventive steps are not enough to provide adequate relief, make an appointment with your doctor or allergist. It may be necessary to consider prescription medications or allergy shots to gain control over your symptoms.